Rtd Brig Julius Madaa Bio of the Sierra Leone Peoples Party (SLPP) has been declared the winner of the March 31 Sierra Leone Presidential run-off election. According to the result announced by the Sierra Leone’s National Electoral Commission (NEC) on Wednesday in Freetown, Bio received 1,319,406 votes representing 51.81 per cent of the total valid votes cast, 2,546,577, to defeat the candidate of the ruling party. Kamara Wilson of the ruling All Peoples Congress (APC) polled 1,227,171 votes, representing 48.19 per cent of the valid votes cast. Bio is to take office as Sierra Leone’s 5th President having won the run-off election with more than 92,000 vote margin against his APC counterpart. 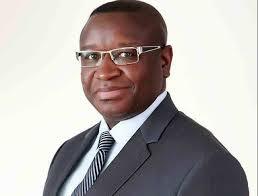 Bio replaced President Ernest Bai Koroma of APC, who has completed his two terms of five years each. Under Sierra Leone’s constitution, a winning candidate is sworn in once the Chief Electoral Officer certifies the results of the election, followed by official inauguration later.